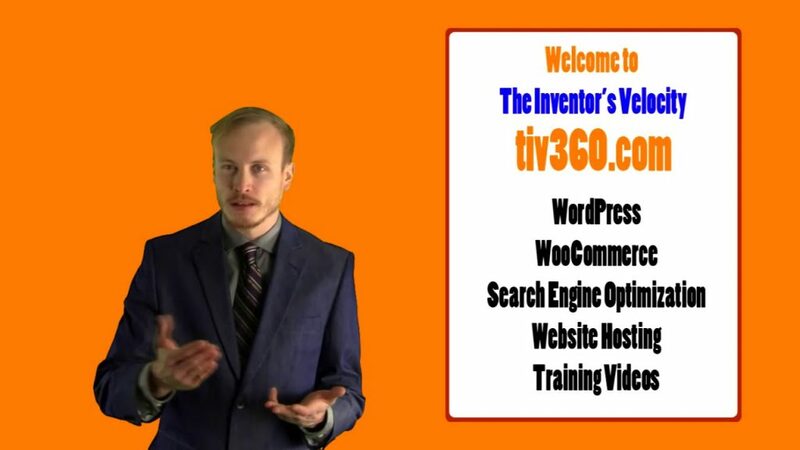 Here is a new video that summarizes the web services provided by The Inventor’s Velocity including; WordPress, WooCommerce, SEO, WordPress Training Videos, Onsite Website Training and Website Hosting. The Inventor’s Velocity is here to help your small business website succeed. It is 2019 and your website must be active to gain traffic. Consider how many viewers are on their phone looking at your website now. Do they have enough content and videos to be informed about the quality work your company does? Or the great product you sell? Make sure you are doing more online marketing than the competition. It doesn’t have to be paid marketing, it just has to be smart marketing tactics with a mix of organic search engine optimization. The Inventor’s Velocity has the web services your business needs to make a statement in 2019! Contact TIV for more information.